Most of the prevailing policies designed for fast-growing plants focus on destroying such plants and do so at the expense of protecting less successful indigenous species. They demonstrate a lack of understanding on the role of such plants in ruined or depleted environments that they like to inhabit. As a survival strategy for devastated natural environments, these plants can also be seen as guardians of life on our planet. In areas where soil is contaminated with pesticides or heavy metals some invasive species supply the environment with necessary phosphorus or nitrogen, which helps plants grow and develop. Others provide bees foraging in urban jungles with an ample supply of nectar and pollen, while people can use their abundant biomass as a new multi-purpose resource. 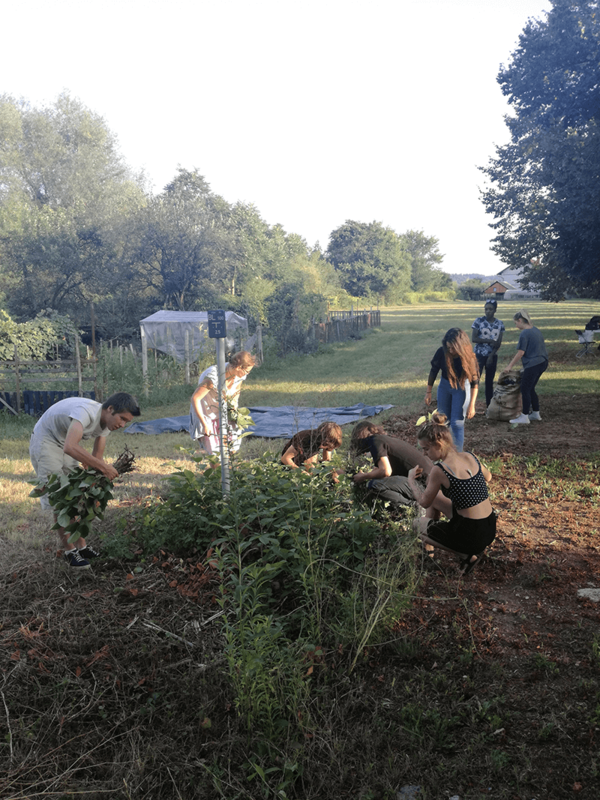 In order to explore the practical values of invasive plants, the Laboratory of Extended Living group created a learning space dedicated to intensive learning about Japanese knotweed and to the exploration of sustainable ways of living and working. 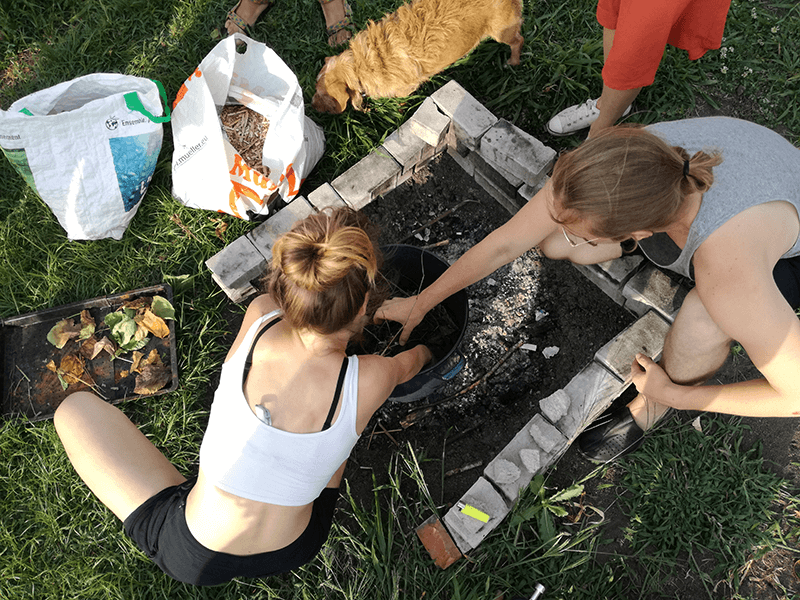 Apart from the regular monthly clean-up of the green areas of the Fužine district, the group also examined different uses of the collected biomass (as food, a fertilizer, a decorative glaze in ceramics and a building material for insect hotels). 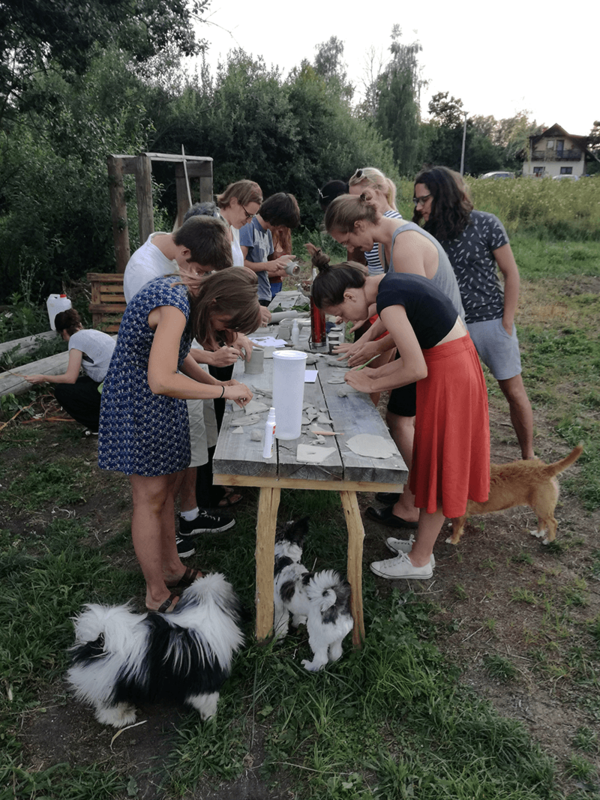 Different experiments carried out in cooperation with various experts provoked discussion about several issues, such as the role and importance of craftsmanship, building/designing urban infrastructure for animals, learning about fermentation or permaculture processes and similar. Japanese indigenous peoples liked to say that trees that were chopped down and used to produce objects for their own survival were given a new life, that their life was actually extended. The Laboratory of Extended Living revived the dialogue between nature and its inhabitants and created a temporary, yet sustainable and diverse project ecosystem. 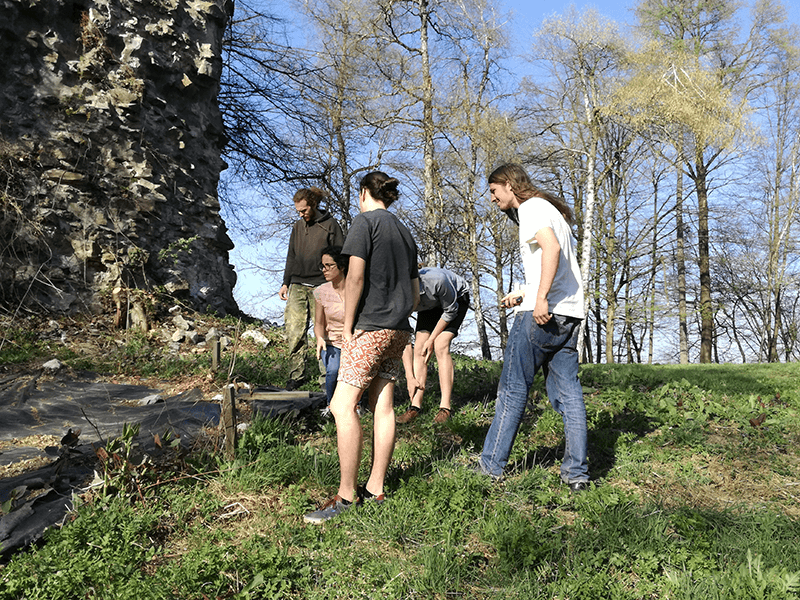 At the kick-off meeting the working group became acquainted with the Outdoor Laboratory that stands atop Ljubljana’s Castle Hill. 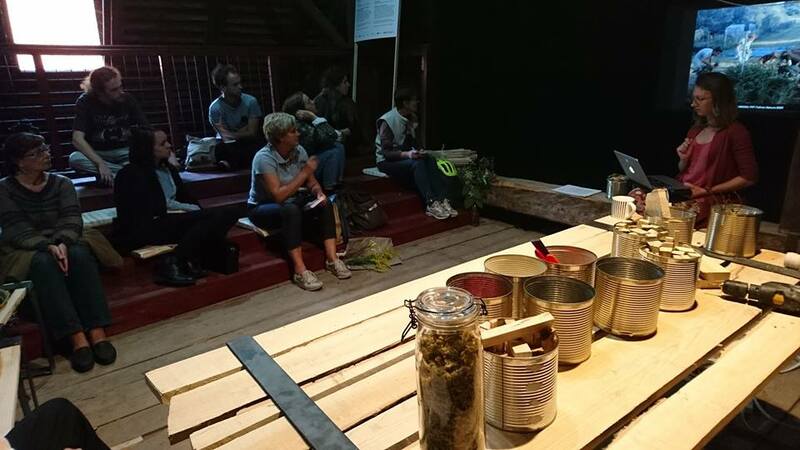 Biologist Zala Kogej presented us with some nature-friendly ways to remove Japanese knotweed that they are researching there together with the Biology Students Association (Ljubljana Castle, 31.3.). Before starting the removal work, we spoke about the values, resources, interests and limitations of and within the group. 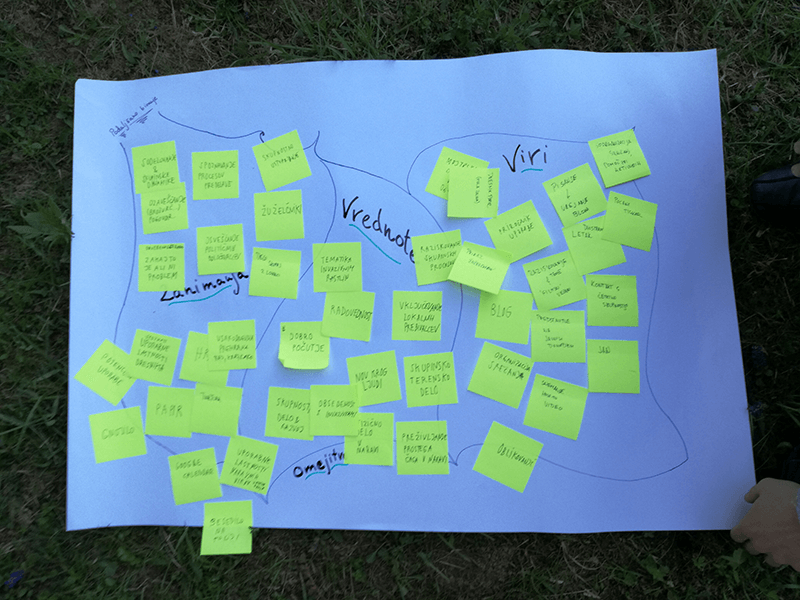 This way we were able to better understand the expectations of participants and draw up a common road map of activities (Trail Around Ljubljana, Fužine, 14.4.). 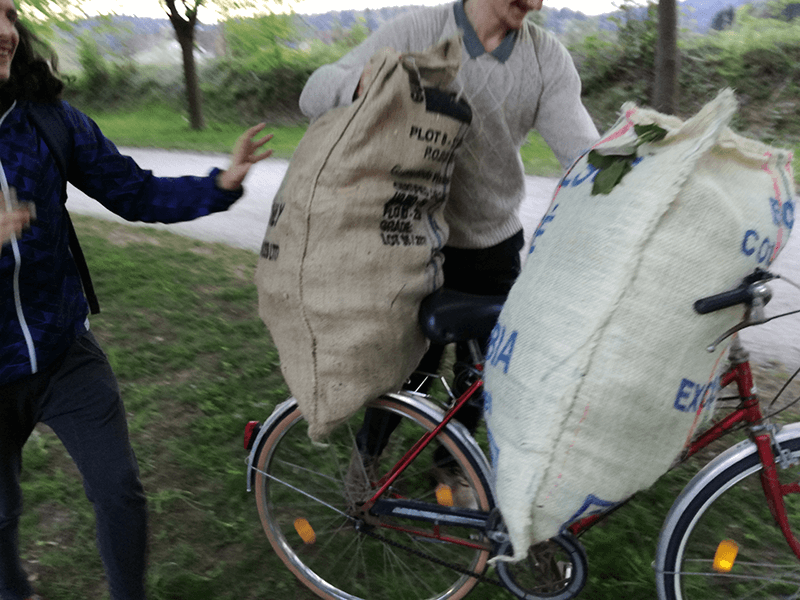 We used coffee bean jute bags that we got at Čokl Coffee Shop to store the biomass waste (Trail Around Ljubljana, Fužine,14.4.). We also used our regular meetings to promote sustainable mobility, to promote the use of bicycles and car-sharing schemes (Trail Around Ljubljana, Fužine,14.4.). Young shoots cut in April were peeled, cut into smaller pieces and mixed with a mixture of hot vinegar and water, salt, garlic and coriander. 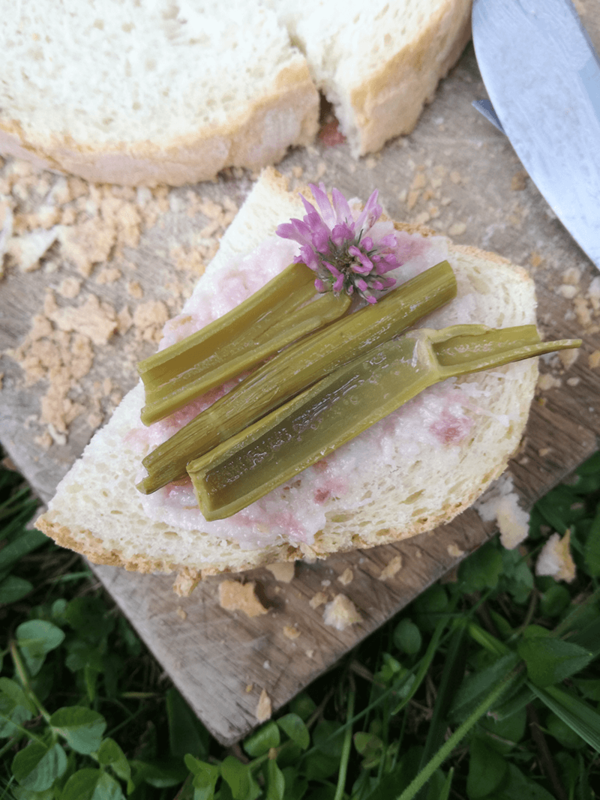 Tasting of the pickled shoots took place at one of our meetings (Trail Around Ljubljana, Fužine, 19.5.). Research into the use of biomass as a source of plant nutrients in urban food production taken from the parts of Japanese knotweed that grow above ground was conducted in partnership with the Department of Agronomy of Biotechnical Faculty in Ljubljana, Laboratory of Extended Living working group and LivadaLAB. 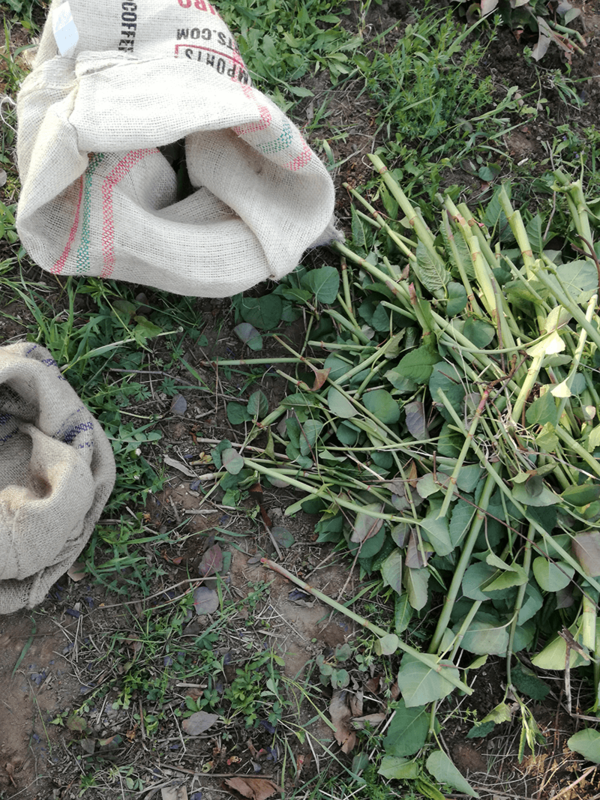 Using the fermentation method, a plant fertilizer was made from Japanese knotweed, while its efficacy in the urban cultivation of Chinese cabbage planted at LivadaLAB was also studied (Department of Agronomy, Biotechnical Faculty, 23.5.). 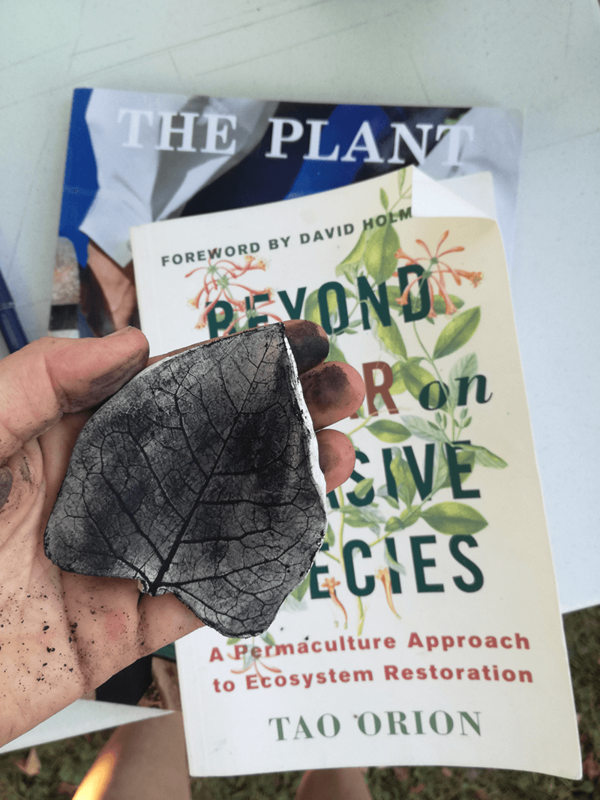 Designer Nika Erjavec taught us about the traditional process of preparing ceramic glazes from Japanese knotweed biomass. First, the plants were thoroughly dried. Next they were fired in LivadaLAB’s public fireplace and cooled. The glaze was actually made from ashes (Livada Lab, 20.6.). For purposes of the experiment, we made a few simple clay objects (Livada Lab, 20.6.). The ash glaze from Japanese knotweed (made from the fine powder of burned knotweed biomass and water) was applied to the biscuit clay. The objects were then heated again in a kiln, where carbon particles turned into crystals and the resulting coating rendered the clay waterproof (Trail Around Ljubljana, Fužine, 8.8.). In mid-summer, the site in question was mowed regularly, so we only had to remove a few tiny red sprouts. 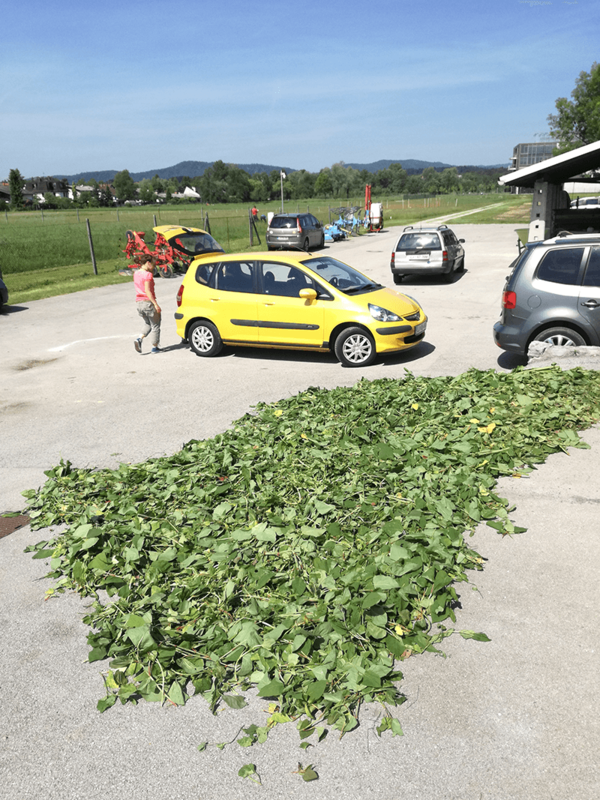 The difference was more than obvious – on the part of the site that was not mowed, the plants grew as high as 50 cm (Trail Around Ljubljana, Fužine, 8.8.). The results of our research were presented at the Symbiocene exhibition as part of the Project Space series by the Museum of Architecture and Design (Museum of Architecture and Design (MAO), 13.9.). In the company of Primož Turnšek from the Permaculture Society of Slovenia we learned about permaculture and, through it, investigated possible applications of invasive species. 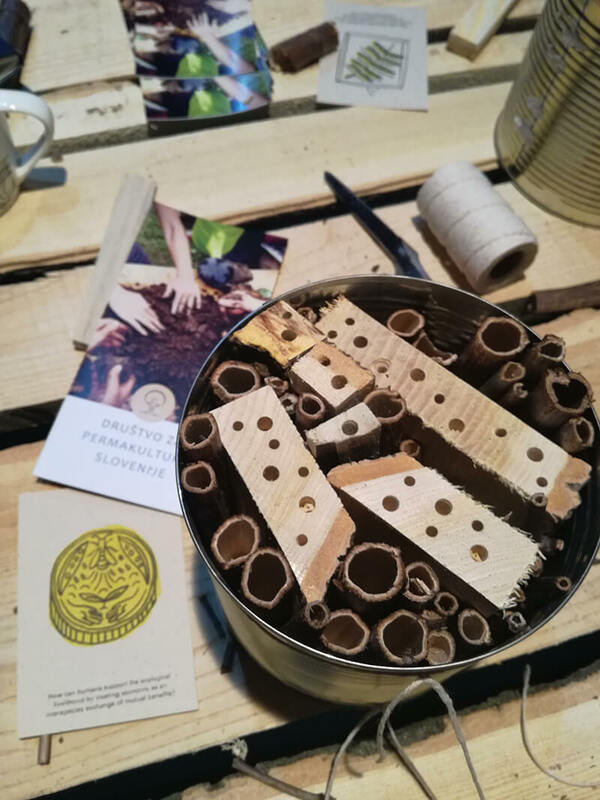 After the lecture we used the dry, hollow stems of Japanese knotweed and tree-of-heaven splints to make small hotels for wild bees and wasps (MAO, 13.9.). The project was co-funded by the City of Ljubljana and was conducted under the auspices of Zavod Bob.